Intertwined amongst my interest in the architecture of Bellerbys College is a fascination with major projects generally and a curiosity over the success of the New England Quarter in particular. Bellerbys College (their missing apostrophe, not mine) is an international school that specialises in the teaching of English and other subjects. It began in Hove in 1959 at 44 Cromwell Road under a different name and was later named after Robin Bellerby who became principal in 1980. Before the move to Brighton, other buildings around Hove had been purchased including Park House on the Old Shoreham Road. Bellerbys Brighton was built just to the north of Brighton Station as Blocks L-M of the New England Quarter, which has been under construction since 2004. Many of the thousands of people who see Bellerbys from the train every day no doubt mistake the building for the neighbouring Jurys Inn (again, their missing apostrophe, not mine). With white render and crisp corners, the buildings are indeed similar but, unlike Jurys Inn, Bellerbys has no exterior signage – and one quite remarkable interior. 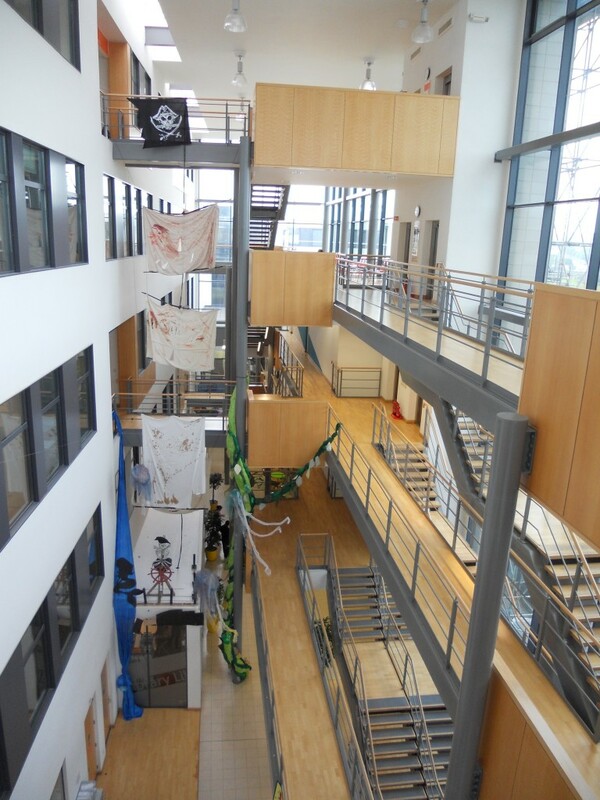 I was recently shown around by Julian Vilarrubi who teaches art on the building’s second floor. It is from there and above that some of the campus’s best qualities can be appreciated as the views from these upper levels are amongst the city’s finest. 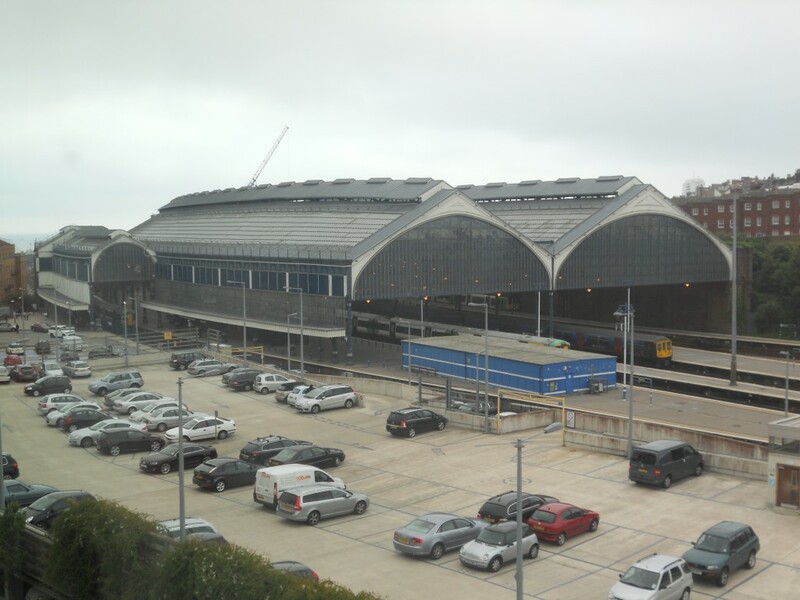 The London Road Viaduct, Hanover, Sussex Heights and the Palace Pier can each be seen in all of their glory. The best outlook is actually from a staircase on the south-west corner which overlooks the mouths of Brighton Station’s three arches. There are views inside too. The top levels are best reached by stairs rather than by lift as this means experiencing the building’s breathtaking five-storey-high atrium. It reminds me a little of Relativity by M. C. Escher which features a great entanglement of stairs and landings. The height of the drop adds serious excitement to what would simply be a walk along a corridor in a normal building. The various quirky spaces within this core section are warm and friendly. Splashes of colour throughout, and acres of solid wood, see to that. There is no doubt that Bellerbys is a resounding success, as a building and as a business of which the city should be proud. I am not so sure about the rest of the New England Quarter though. Further investigation and a column will follow.